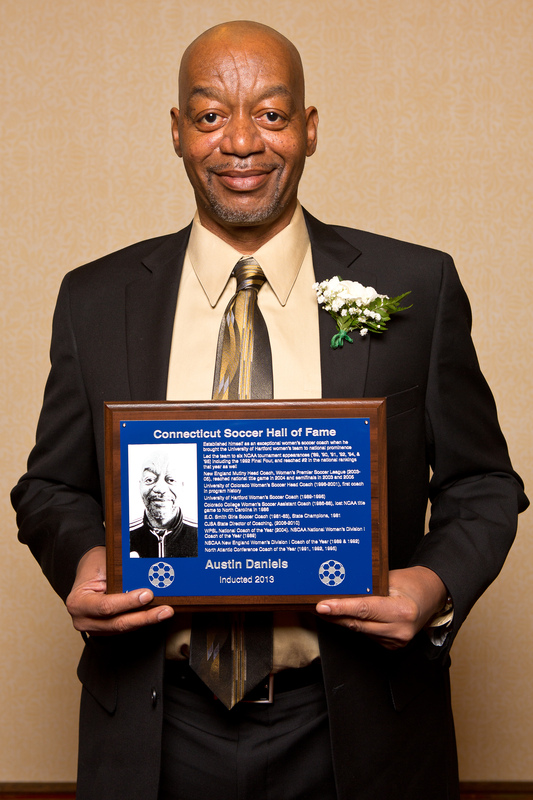 Tony Carvalho has been a high level soccer player for the past 35 years and involved coach and administrator in Connecticut. He was a dangerous midfielder for the powerful UConn men’s program, which won 19 games in 1978 and set the foundation for its 1981 national championship run. 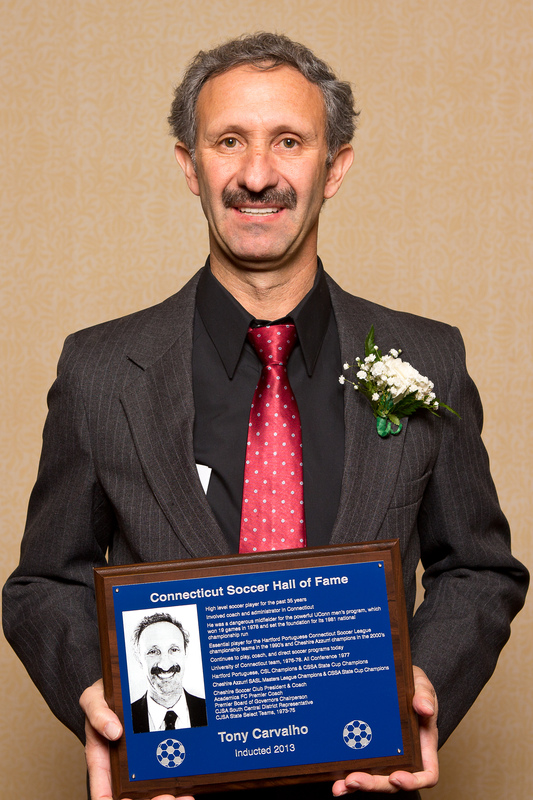 Tony was an essential player for the Hartford Portuguese Connecticut Soccer League championship teams in the 1990’s and Cheshire Azzurri champions in the 2000’s. He continues to play, coach, and direct soccer programs today. University of Connecticut team, 1976-78. All Conference, 1977.
. Cheshire Azzurri SASL Masters League Champions & CSSA State Cup Champions. Cheshire Soccer Club President & Coach. Premier Board of Governors Chairperson. CJSA South Central District Representative. Established himself as an exceptional women’s soccer coach when he brought the University of Hartford women’s team to national prominence. Daniels led the team to six NCAA tournament appearances (’89, ’90, ’91, ’92, ’94, & ’95) including the 1992 Final Four, and reached #2 in the national rankings that year as well. New England Mutiny Head Coach, Women’s Premier Soccer League (2003-05), reached national title game in 2004 and semifinals in 2003 and 2005. University of Colorado Women’s Soccer Head Coach (1996-2001), first coach in program history. University of Hartford Women’s Soccer Coach (1989-1996). Colorado College Women’s Soccer Assistant Coach (1986-88), lost NCAA title game to North Carolina in 1986. E.O. Smith Girls Soccer Coach (1981-83), State Champions, 1981. WPSL National Coach of the Year (2004). NSCAA National Women’s Division I Coach of the Year (1989). 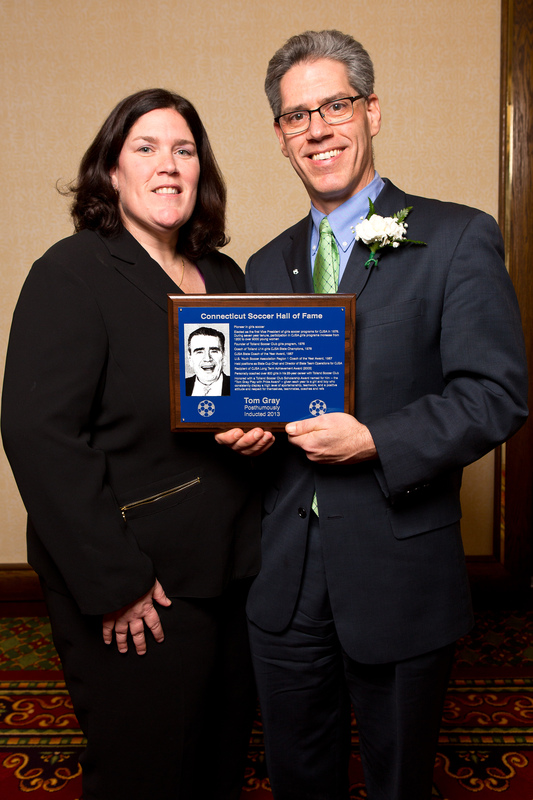 NSCAA New England Women’s Division I Coach of the Year (1989 & 1992). North Atlantic Conference Coach of the Year (1991, 1992, 1995). Pioneer in girl’s soccer. Elected as the first Vice President of girls soccer programs for CJSA in 1979. During seven year tenure, participation in CJSA girls programs increase from 1200 to over 9000 young women. Founder of Tolland Soccer Club girls program, 1976. Coach of Tolland U14 girls CJSA State Champions, 1978. CJSA State Coach of the Year Award, 1987. U.S. Youth Soccer Association Region 1 Coach of the Year Award, 1987. 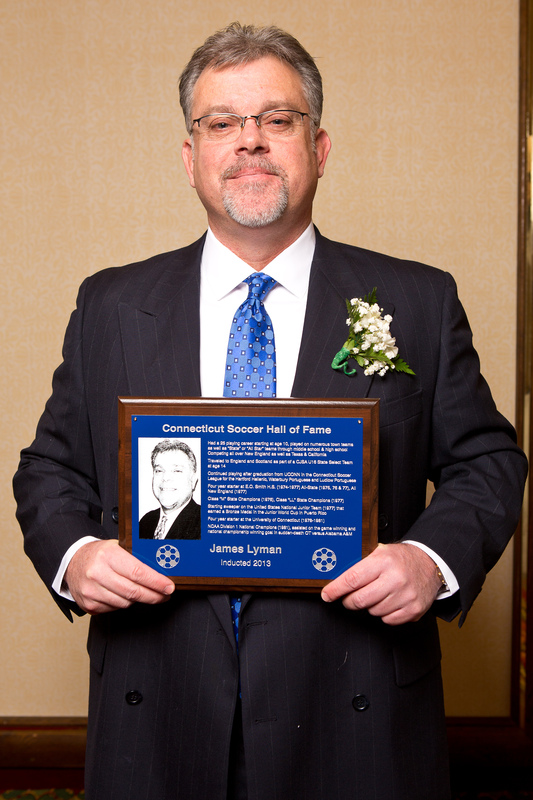 Also held positions as State Cup Chair and Director of State Team Operations for CJSA. Simply put, Kristine Lilly is quite possibly the most successful soccer player of all time. Lilly’s 352 appearances (“caps”) for her national team dwarfs all others in the world, none having reached 300. Attended Wilton High School in Wilton, Connecticut where she won 3 state championships for Wilton H.S. (1986, ’87, ’88) .As a 16 year old she played for the US women’s National Team for the first time and scored her 1st international goal when she was 16 years and 22 days old. As a 23 year veteran of the US National team she played in 352 games,scored 130 goals and had 105 assists. She scored her last goal when she was 38 years old. Named First Team All-WUSA in all 3 WUSA seasons .She would go on to earn All-Star and Best 11 accolades during 2 seasons in the WPS. Had a 25 playing career starting at age 10, played on numerous town teams as well as “State” or “All Star” teams through middle school & high school. Competing all over New England as well as Texas & California. Traveled to England and Scotland as part of a CJSA U16 State Select Team at age 14. Continued playing after graduation from UCONN in the Connecticut Soccer League for the Hartford Hellenic, Waterbury Portuguese and Ludlow Portuguese. 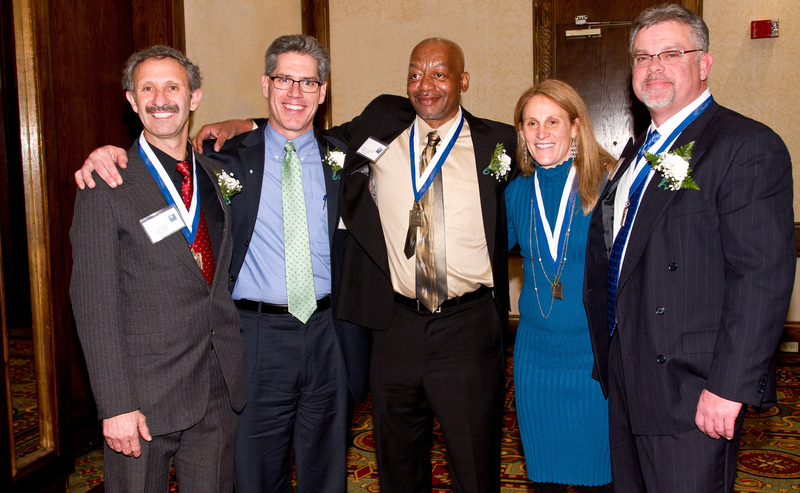 Class “M” State Champions (1976), Class “LL” State Champions (1977). Starting sweeper on the United States National Junior Team (1977) that earned a Bronze Medal in the Junior World Cup in Puerto Rico.